The Dexter Cool Blue 8 x 3 in. 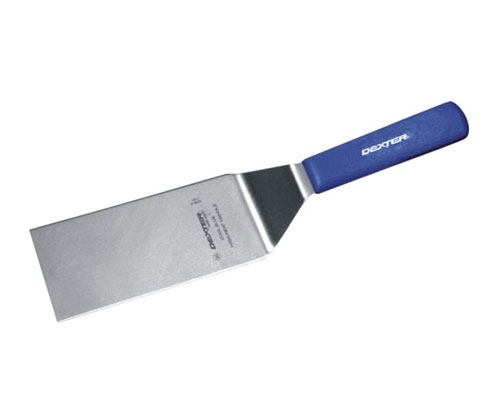 Square End Turner is ideal for those working a griddle. This shape is very popular with hibachi style restaurants. The "cool blue" handle is safe up to 500 degrees Fahrenheit.